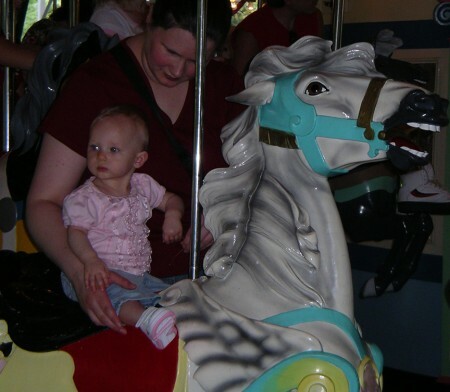 This is Juliana on her first trip to Kennywood – she was 10 months old. Those 2 little teeth, they are gone and have been replaced by big teeth. 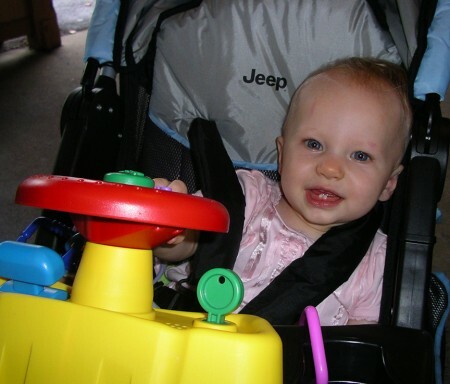 She spent most of the day riding around in her stroller enthralled with the sounds and activity all around her. 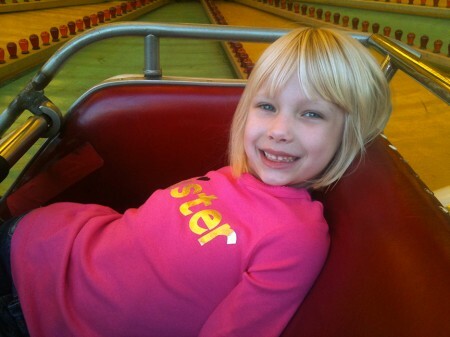 She only went on one ride that day – the Merry-Go-Round. 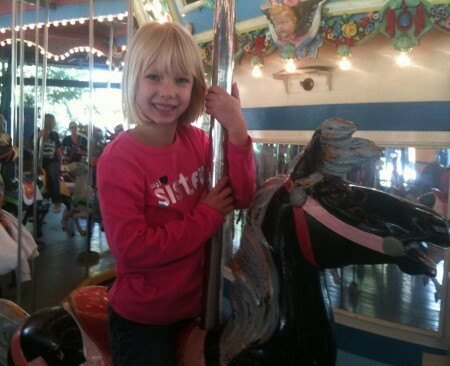 And then there is this picture from the Merry-Go-Round from this weekend – she sits so straight and tall. The picture caught me off guard. I keep looking at it, thinking who is this big kid? 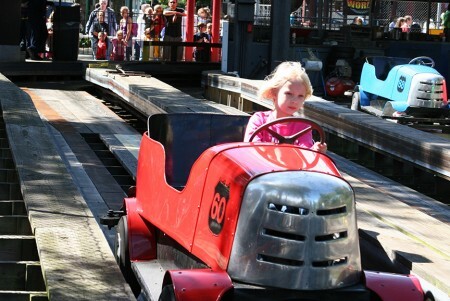 When did she get big enough to ride the racer, and sit in the front seat, and hold her hands up the entire way, and then run off the ride to get back in line? 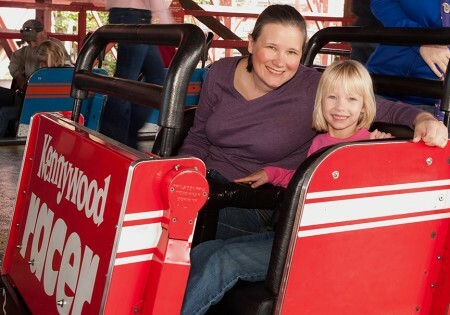 When did she get so big that her favorite ride is the one that spins the fastest and plays loud music and how can she ride it all day and never get dizzy? When did she become old enough to ride a big ride all by herself? 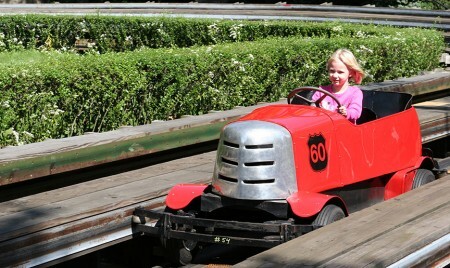 She was so excited that she was allowed to drive alone – she is very serious when she is driving. At this rate the day that she is asking for the keys to my car will be here much too soon. We’re all such dopes. Every parent since Adam and Eve has probably said, “they grow up so fast!” Good stuff though. I’m worrying about the day she asks for my car keys and then doesn’t give them back, telling me I’m too old to drive anymore.